Lost Voyage, number three in the series featuring former Royal Commando, Art Marvik, now an undercover investigator with the UK's National Intelligence Marine Squad, is published in paperback as an e book, and on Amazon Kindle and Kobo. It is set during the month of April. Read an extract from LOST VOYAGE. Marvik is surprised to receive an unexpected summons to meet Helen Shannon, a woman he helped on his first mission. When a body is discovered in her flat, Marvik is convinced that Helen is being framed for murder, but why and by whom? Before he has a chance to follow it up, the head of the National Marine Intelligence Squad, (NIMS) Detective Chief Superintendent Crowder, asks Marvik to investigate the disappearance of a salvage vessel, the Mary Jo, which went missing in 2003. As Marvik delves into the past, it becomes clear that he faces a desperate battle to keep Helen and others safe from a ruthless assassin – one who will stop at nothing in order to protect the secret of the Mary Jo’s last voyage from ever being exposed. Marvik’s grip tightened. The man’s eyes bulged in a face which was rapidly turning blue as the oxygen was being severed. He managed to blink acceptance of the offer and Marvik picked up the heavy torch then thrust the man down the stairs ahead of him on to the deck, still holding him by the neck and in an armlock. Marvik called out to the bulkier man on the pontoon who had already seen them and had started nervously. 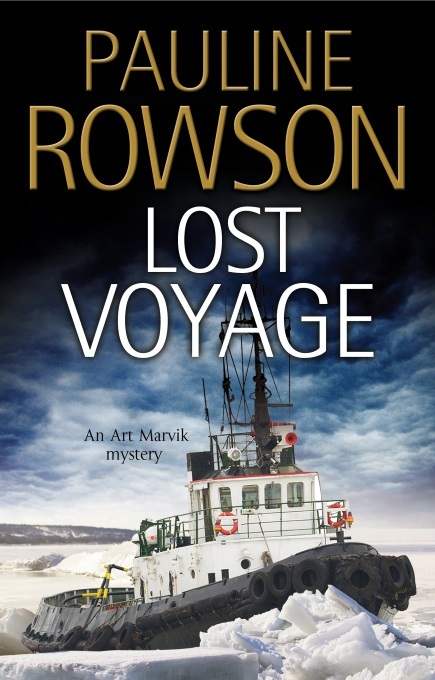 Lost Voyage is the third in the Art Marvik thriller series after Silent Running and Dangerous Cargo.